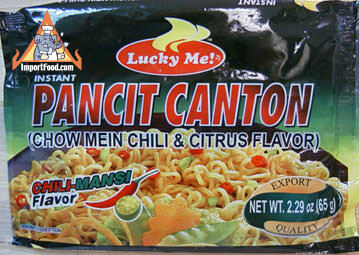 We are sure you will like these noodles especially if you like a mild (not overpowering) chile spice. Preparation is very simple. Just add to boiling water, drain after just 3 minutes, then mix the cooked noodles with the included spice paste. Ingredients (noodles): wheat flour, palm oil, salt, guar gum, sodium carbonate, potassium carbonate, polyphosphate, antioxidant (BHA & BHT). Ingredients (spice packet): coconut oil, soy sauce, sugar, artificial chicken flavor, msg, salt, maltodextrin, spices, crushed red pepper, citric acid, hyrolyzed vegetable protein, caramel color, dehydrated vegetables, disodium 5 guanylate, guar gum, potassium sorbate.